More and more customers are asking for either hot tea, or iced tea, over soda these days. And the secret to serving the perfectly brewed cup of iced tea, or hot tea, is the steeping time. 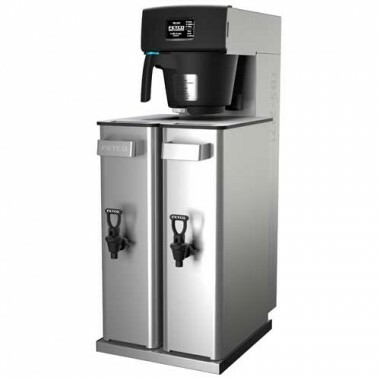 Commercial tea brewers eliminate the secrecy, and let you make every cup the perfect cup. Batch sizes vary (from 2-18 gallons), so you’ll need to determine your daily tea needs. Tea brewers offer easy to operate, fully programmable controls so your staff can adjust tea volume and strength. Patented spray systems make sure the water is in contact with the tea for precisely the right amount of time. Now that you’re serving a splendid spot o’ tea, all you need are the crumpets.